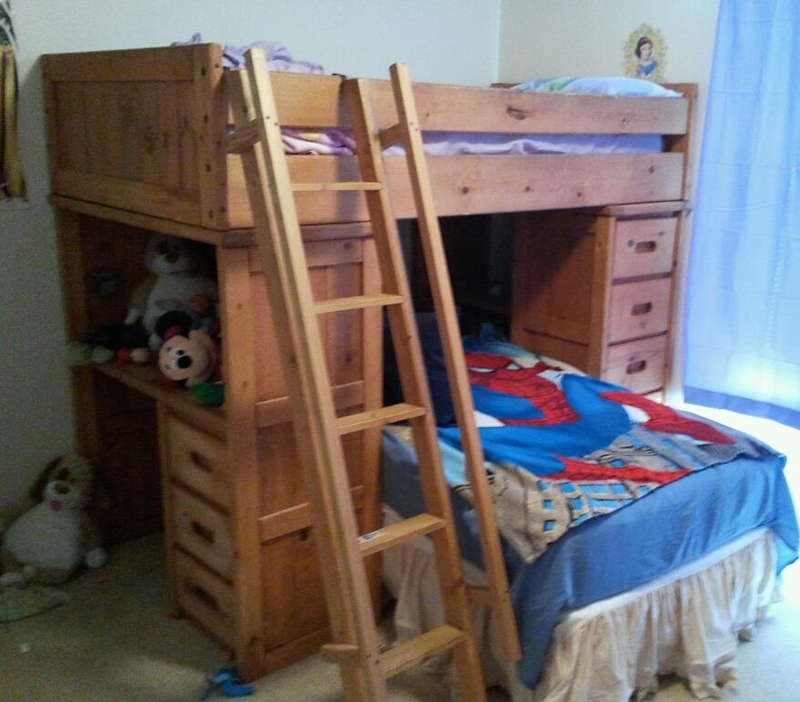 Last year, we got a really cool loft bed for my older daughter. It’s got all kinds of storage and is really sturdy. The first thing we did was enlist help from one of my husband’s co-workers to update the ladder and add extra rails on top. He did a fantastic job! We also put my younger daughter’s twin size bed in the opening to help save on floor space. 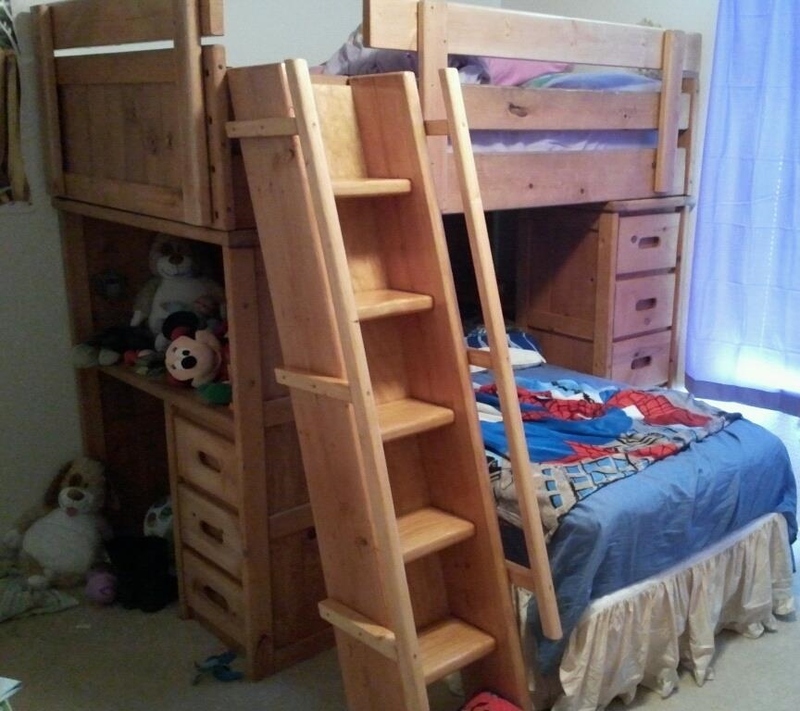 But, the loft bed has shelves built in the underneath part, so my younger daughter rolled into the shelves a couple of nights while sleeping. Also, it was dark and enclosed, and she really didn’t like her bed in there. 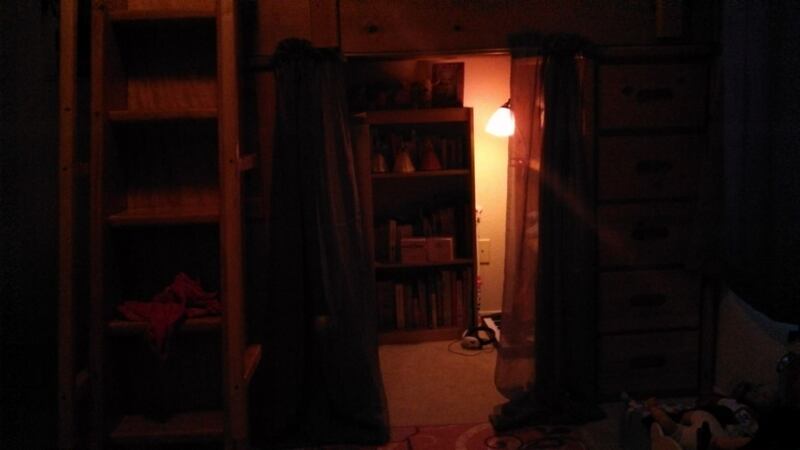 So, I decided to move her bed on the other side of the room again, and move the bookshelves underneath the loft bed. They don’t fit perfectly while still allowing room for the shelves built into the loft bed to be able to be used, but I think it still works out well. You can get to books on the shelf still as it is. I also bought a clip on desk lamp at Walmart for $8.97 that I clamped onto the shelves to give a little light to the area. Then, I bought a spring tension rod at Walmart for $2.97 for some purple sheer curtains that I used to have as window coverings before switching to all thermal backed curtains (ah, the joys of living in AZ with the hot, hot sun!). 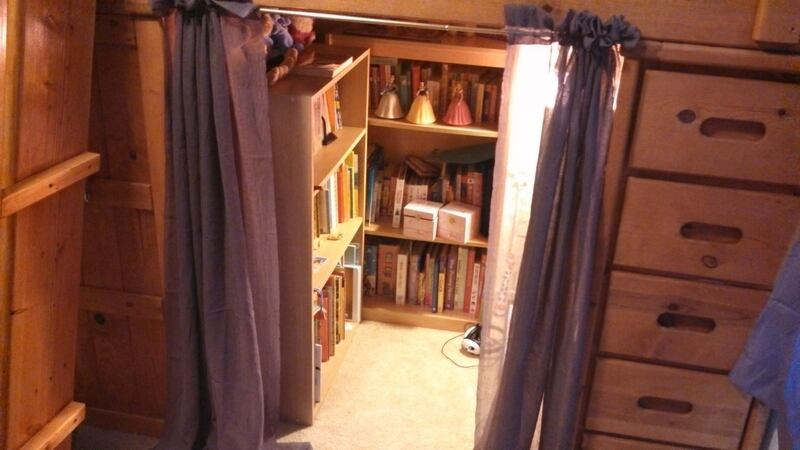 The curtains are a little long, but still work for the space. 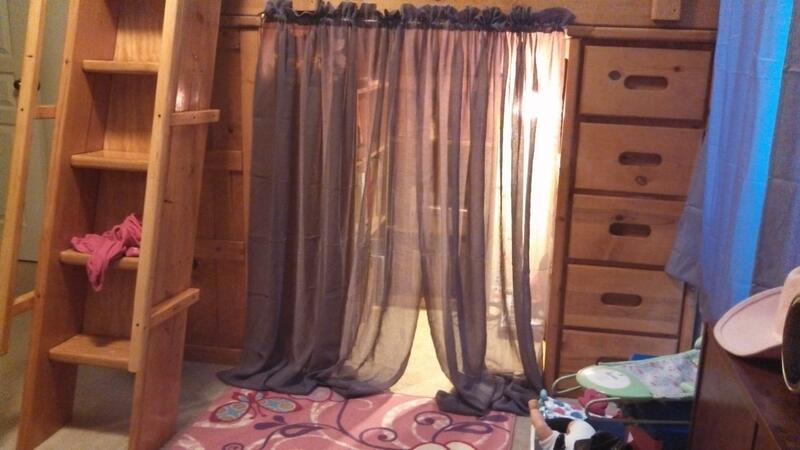 The girls both love it, and I love that I was able to convert the space using an item that was going unused (the curtains) and I only spent $12 to do it! My girls would LOVE something like this! !